Scotmin Nutrition was formed in 1979 and has grown to become a leading manufacturer of mineral supplements for Dairy, Beef and Sheep farmers. Based on the West Coast of Scotland, Scotmin Nutrition serves the UK and European markets. 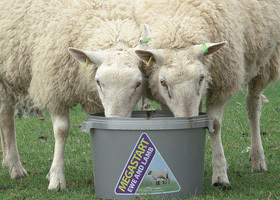 The aim of the company is to provide today’s livestock farmer with farm specific nutritional solutions. With over 100 years of combined experience in animal nutrition our experts ensure that our products achieve maximum performance at minimum cost. In June 2010 Scotmin Nutrition was acquired by Carr’s Group and is now a division of Carrs Agriculture Ltd. The combined knowledge and experience ensures that Scotmin will remain at the forefront of animal nutrition.